This morning China’s state planner announced that China will be phasing out ownership caps for car companies starting this year for plug-in hybrid and fully electric vehicles. Commercial and light-duty vehicles will see the restrictions removed in 2020, and finally, any remaining models will see caps removed in 2022. Before I analyze what today’s news out of Beijing might mean its important to understand just how valuable the Chinese auto market is. 2016 saw the U.S. set an all-time record of over 17 million light-duty vehicles sold to consumers. In the same year, China sold 27.5 million light-duty cars and China is forecasted to sell 30 million by 2020. China could be double the size of the U.S. domestic market in just a handful of years! It’s easy to see why today’s announcement might end up proving pivotal for global automakers’ futures. Since the ownership caps have been put in place China’s domestic car market has soared. Shown: BYD’s all-electric E6 already in mass production….. since 2009. The year 1994 saw China impose strict limitations on carmakers’ ownership of any joint venture for selling vehicles in the world’s most populous nation. The way it was set up and operates to this day finds the top foreign auto brands (listed in descending order in terms of sales volume) such as VW (ETR:VOW3), Buick (NYSE:GM), Honda (NYSE:HMC), Hyundai (KRX:005380), and Toyota (NYSE:TM) forced to partner with a “local” entity in order to produce and sell cars in the Chinese domestic market. The current limit is a 50% ownership stake in the JV. For example, the number 1 selling foreign brand in China is Volkswagen. In 1984 VW signed a 25-year agreement to partner with Shanghai Automotive Industry Corporation (now SAIC Motor) resulting in the joint venture Shangai Volkswagen Automotive Co. Volkswagen owns the state maximum of 50%, SAIC owns the other 50%. Volkswagen, in effect, had to sign over 50% of its profits in order to move into China while SAIC Motor just needed to build out the infrastructure for manufacturing. This would be relatively risk-free when all of the R&D has already been funded and the vehicles models have already blueprinted in other facilities. SAIC received fully researched and developed modern car technology just for being a Chinese domestic company meanwhile, VW gave all this up just for the ability to make and sell cars there. And this is just about how all the major brands entered the Chinese car market; with 50% stakes in joint ventures. Today’s announcement from China means all that may change in the coming years. Electric and hybrid carmakers will see an immediate opportunity to wholly own their Chinese operations while commercial (2020), and everyone else (2022) will have to wait. Despite the possibility to massively increase stakes in their Chinese subsidiaries, most manufacturers are downplaying today’s announcement and are stating their intention to continue to work with their Chinese partners. We believe a more free and flexible business environment will benefit both Chinese and foreign companies in China and the Chinese economy. BMW will continue pursuing mutual benefit and win-win solutions with the local partners. At the moment we have no plans to change our capital relationship..
GM is also partnered with SAIC Motors and said its grown in China is “a result of working with our trusted joint venture partners”. After so many years of working together and relying on the Chinese, automakers may find that their structure is now too deeply ingrained to revert back to full ownership. Facilities, supply chains, and operations would have to be purchased back retroactively and there might be regulatory nightmares in doing so. China may make this so difficult that the change is only lip-service and in reality, nothing will change. Its possible the automakers are just playing coy and don’t want to upset their business partners before they are ready to strike out on their own. Given the huge (both present and future) volume of the Chinese market, and the newfound ability to raise their stake from 50% to 100%, it speaks to reason that there is a massive incentive for automakers to actually take advantage of the change and take full ownership of their Chinese divisions. The automaker that may be the most excited for today’s news is Elon Musk’s Tesla (NASDAQ:TSLA). The electric automaker has never been shy about its ambition to build a production facility in Shangai to reach the massive Chinese consumer base. 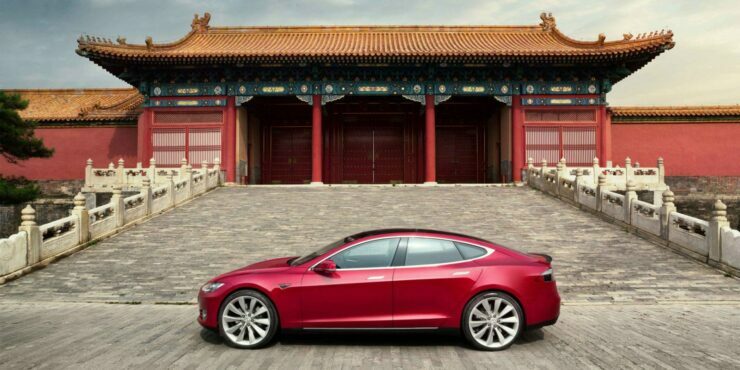 Tesla doesn’t have a deeply ingrained Chinese partnership and perhaps most important – since it produces exclusively electric vehicles it is immediately allowed to own a 100% stake in its business in China. 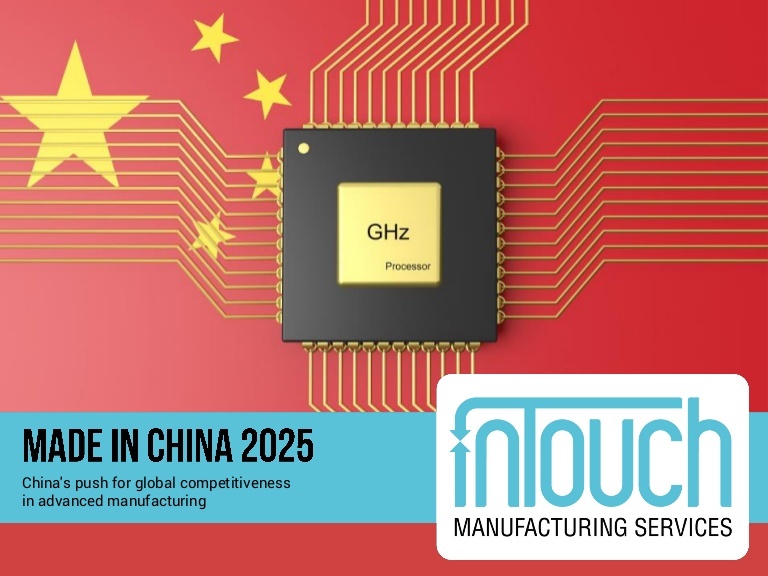 Made in China 2025 is a state-sponsored initiative to boost homegrown tech and manufacturing. I will go out on a limb and say that it seems China may be deflecting attention away from its true intentions – to become the undisputed leader in global high-technology. As we reported a few weeks ago, China is giving its domestic tech industry massive tax cuts. The automobile is old-world technology. Cars are getting “smart” features and assembly is utilizing more and more advanced robotics but the product itself isn’t some paradigm shift. Both the United States and China understand this. Tomorrow’s world (and economic leverage) will rest in rapidly advancing information technology. Big data, machine-learning, advanced artificial intelligence, autonomous algorithms and robots all promise to shift how we do business and even go about our lives as humans. Advertising, production, content creation, entertainment, research and development – the list goes on. 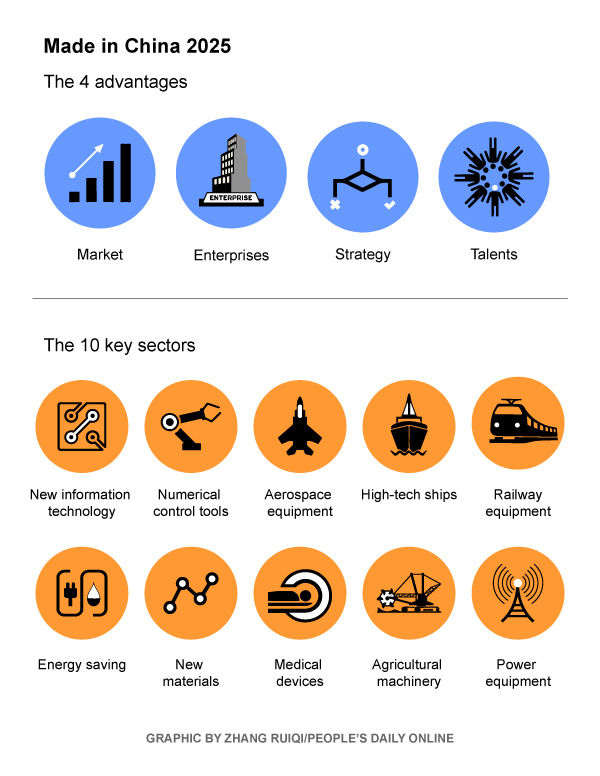 Several industrial sectors are highlighted in China’s official plan. However, most acknowledge that semiconductors and other related high tech systems that will drive tomorrow’s information technologies are one of the primary, if not THE primary focus of the plan. To wrap up, U.S. President Trump has already discussed this in the media on several occasions and indeed, there is general bi-partisan agreement that China becoming a leader in advanced technology poses a risk to the business interests of the Western world. China appears to be adopting a true change in how it allows foreign companies to sell cars within its borders, but this might be a smokescreen that will allow the Xi administration to proclaim they engage in “free and open trade” while remaining a protectionist when it comes to its more important sectors like big tech.